Shadamehr Swift is an 8-year-old bubbly, active and curious little boy. He loves to make people laugh, be active and participate in the Special Olympics at his elementary school in Beamsville. At only a few months old the Swift’s youngest son was diagnosed with Duchenne Muscular Dystrophy or DMD. This past March, Shadamehr was placed in a motorized wheelchair due to the weakening of his muscles and progression of his Muscular Dystrophy. 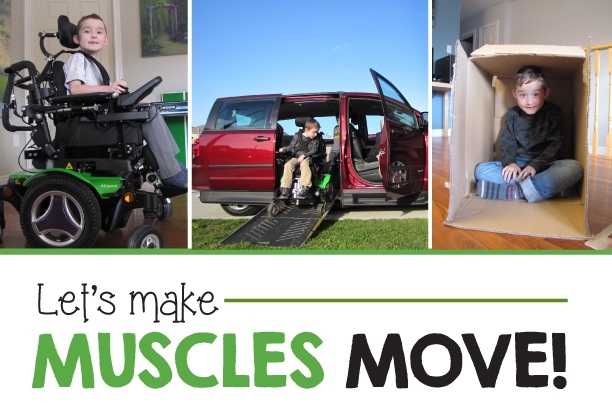 Just prior to The Swift’s purchasing Shadamehr’s wheelchair, they moved into a new home, which is completely wheelchair accessible for him to be able to manoeuvre and participate fully in all of life’s daily activities (i.e. showering, making dinner, going to the park, etc.). 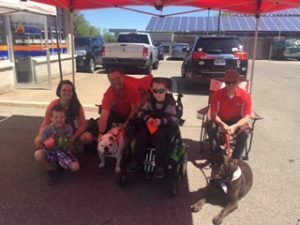 The Swift’s have recently had to also purchase a new wheelchair accessible minivan to be able to transport Shadamehr to and from appointments, shopping and other errands and to visit friends and family. 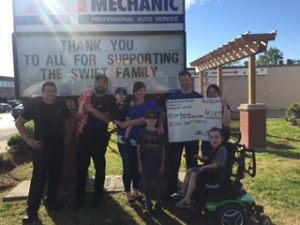 The costs and expenses of being able to give Shadamehr a productive and playful childhood have become overwhelming for The Swift family so Master Mechanic Grimsby organized a fundraiser car wash and BBQ to try and help the Swifts with the purchase of the wheelchair. 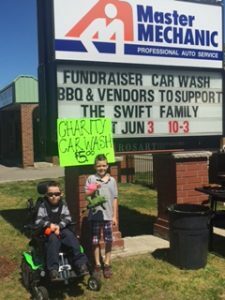 On Saturday, June 3rd the team at Master Mechanic Grimsby organized some great summer food, vendor tables, prizes and of course a car wash at 55 Main Street East, Grimsby and are happy to report a great turnout and terrific results! 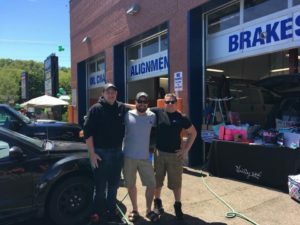 Master Mechanic’s Chris Fournier, Jordan Steven, and Mac Foote, with help from co-op students Dakota Cruickshank and Adam Grimm manned the car wash station and washed over 100 cars over the course of the day. There were 4 vendor tables in the garage right behind the washing station, all of whom contributed to the end donation. These vendors included 31, Tupperware, Scentsy, and Pampered Chef. Master Mechanic Grimsby wants to extend many thanks to everyone who helped make this day a success. They had many people assist them without whom the day wouldn’t have been the same. A few individuals they would like to name are Pat Zonneveld who helped organize vendors, Ken and Isabel Cole who manned the food and BBQ station, as well as Wayne McCarthy who helped bring in some traffic from a local church. 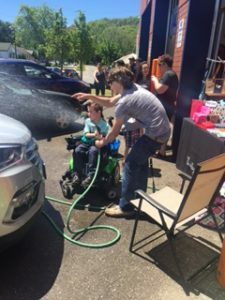 The day went perfectly with fabulous weather, lots of fun and having the community come together to help out a deserving local family. Even the local newspaper come to feature our story in the Niagara region community. The event was such a great success, we raised $1500 for the Swift Family who were so surprised and grateful for the helpful donation! Thank you to everyone who came out and showed your support for such a deserving local family!